Welcome to the Enforcement Resource Guide! The Enforcement Resource Guide is a great resource to allow accountancy board staff to benefit from the experience of other boards. 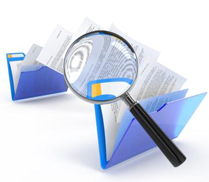 The Components of Enforcement section contains information addressing the various stages of the enforcement process, from start to finish, and is divided into nine components. In each section, the enforcement step is defined and explained, and guidance is given regarding best practices. The sample forms and board models allow staff to see how similar states handle particular enforcement situations, and also allow the staff to see relevant useful sample forms, rather than having to “recreate the wheel” with every new enforcement issue. This guide is available to current executive directors and board members of the state boards of accountancy in a password-protected area of this website. For questions about your login credentials, please email us at website@nasba.org.